Josef Zechner has published in leading finance and economics journals such as the Journal of Finance, the Journal of Financial Economics, the Journal of Political Economy and the Review of Financial Studies. He was the Managing Editor of the Review of Finance from 2003 to 2012. 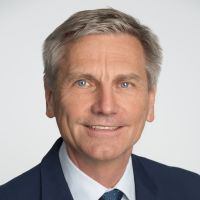 He is also past president of the European Finance Association (EFA), the German Finance Association (DGF) and the Western Finance Association (WFA) and is currently vice president of the Society for Financial Studies (SFS). He is also a member of the Advisory Scientific Committee (ASC) of the European Systemic Risk Board (ESRB) of the European Central Bank (ECB). Professor Zechner has consulted for various financial institutions. He is also a founding partner and a member of the scientific board of Spängler IQAM Invest GmbH, an Austrian Asset Management Company.